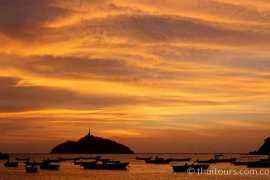 Santa Marta is a busy port city on the Caribbean coast, there is a wide range of accommodation on offer here to for visitors. W are able to offer you the best deals and advice regarding your holiday with options for all tastes and budgets. From cheap Santa Marta hostels and guesthouses, luxurious boutique hotels in restored colonial buildings, vacation homes and apartment rentals. Accommodation: City of Santa Marta There are no products in this category.